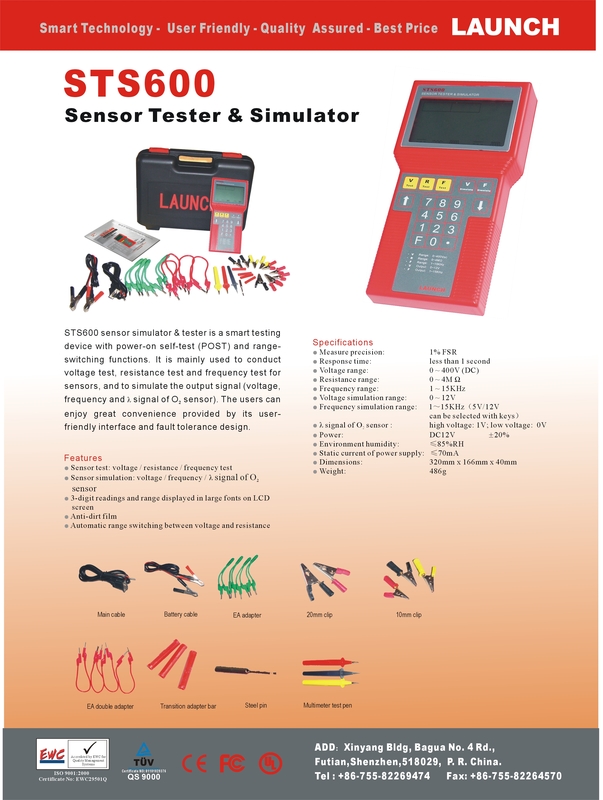 STS600 sensor simulator & tester is a smart testing device with power-on self-test (POST) and range-switching functions. It is mainly used to conduct voltage test, resistance test and frequency test for sensors, and to simulate the output signal (voltage, frequency and O2 sensor signal). The users can enjoy great convenience provided by its user-friendly interface and fault tolerance design.